This week's family home evening is a continuation of last week's on the family can be eternal. This lesson is based on the Gospel Principles manual chapter 37: Family Responsibilities. I see my mother kneeling with our family each day. I hear the words she whispers as she bows her head to pray. And I am thankful love is spoken here. For love is spoken here. When love is spoken here. Lesson: Each person has an important place in his or her family. 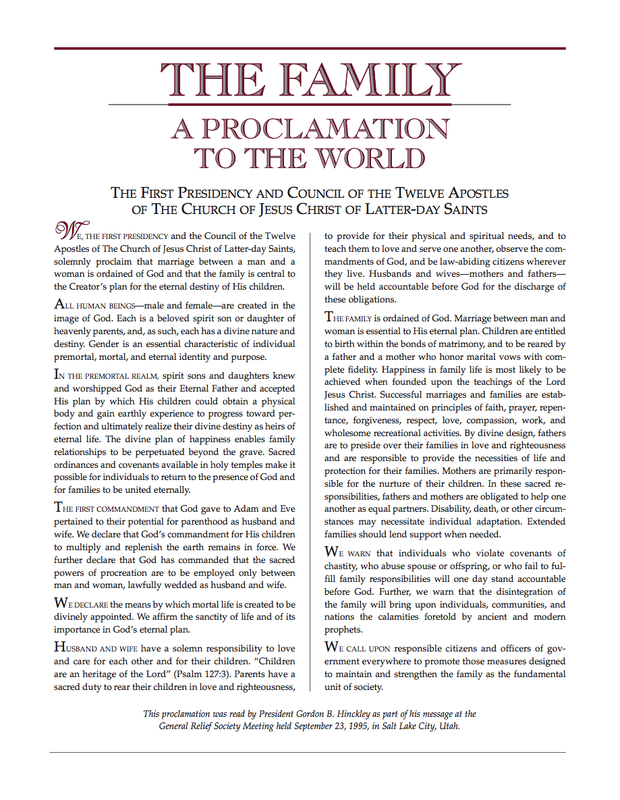 Through prophets the Lord has explained how fathers, mothers, and children should behave and feel toward one another. As husbands, wives, and children, we need to learn what the Lord expects us to do to fulfill our purpose as a family. If we all do our part, we will be united eternally. In the sacred responsibilities of parenthood, “fathers and mothers are obligated to help one another as equal partners". They should work together to provide for the spiritual, emotional, intellectual, and physical needs of the family. Some responsibilities must be shared by the husband and the wife. 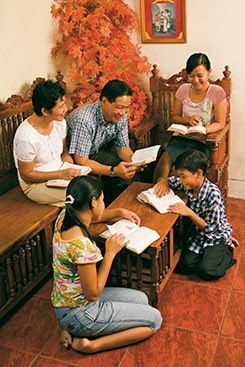 Parents should teach their children the gospel (D&C 68:25, 28). “By divine design, fathers are to preside over their families in love and righteousness and are responsible to provide the necessities of life and protection for their families." A worthy father who is a member of the Church has the opportunity to hold the priesthood, making him the priesthood leader of his family. The father shares the blessings of the priesthood with the members of his family. He should guide his family with humility and kindness rather than with force or cruelty. The scriptures teach that those who hold the priesthood should lead others by persuasion, gentleness, love, and kindness (D&C 121:41–44; Ephesians 6:4). President David O. McKay said that motherhood is the noblest calling. It is a sacred calling, a partnership with God in bringing His spirit children into the world. Bearing children is one of the greatest of all blessings. If there is no father in the home, the mother presides over the family. Latter-day prophets have taught, “Mothers are primarily responsible for the nurture of their children". A mother needs to spend time with her children and teach them the gospel. She should play and work with them so they can discover the world around them. She also needs to help her family know how to make the home a pleasant place to be. If she is warm and loving, she helps her children feel good about themselves. Activity: June had a spoon and a play knife. I had a plate of marshmallows and chocolate kisses in front of her. I told her that in order for her to enjoy this treat, she first had to cut the marshmallows and kisses in half, then scoop them into the bowl. (This represents family work) I gave her both the spoon and play knife to use. I asked her to try the spoon first. She found that though she could cut the candy in half with the spoon, it was harder than using the knife. 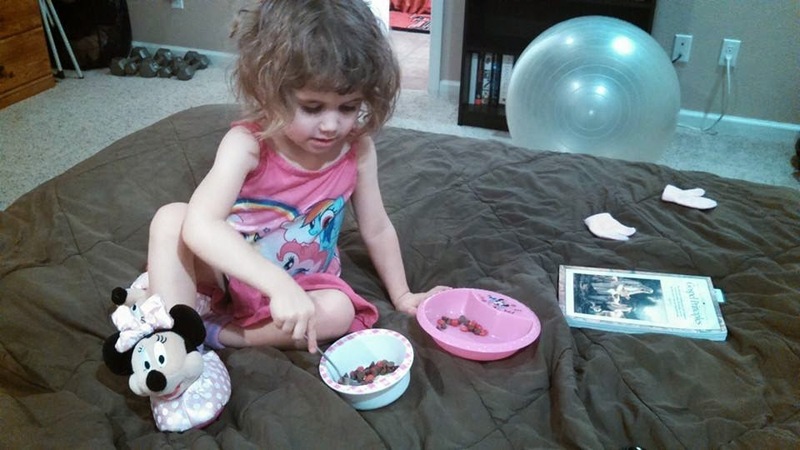 Then, she found the opposite with scooping the candy to the bowl. She could complete the task with the knife, but it was harder than with the spoon. (This represents primary gender responsibilities). As she found the appropriate utensil for each job and used that one, I would still help her with the other utensil to complete the task. (This represents families working together and helping each other in their roles). Once her tasks were complete, she gladly enjoyed the treat. As she was eating, I told her how mommy's and daddy's are both equal with have equal workloads and responsibilities. However, those responsibilities are different. Mommy's are more equipped to nurture while Daddy's are more equipped to provide and preside. Even though daddy's can also nurture and mommy's can also provide and preside, they are best equipped for their divine roles. No one's job is better or harder, and both mommy's and daddy's should help each other in their work, just as children should help their parents. This way, no one is stuck doing all the work by themselves. That is how we show that we love our family.